The follow up to one of my favorite books of last year, Righteous finds our hero IQ-- the Sherlock Holmes of East Long Beach-- investigating the supposedly accidental death of his brother. At the same time, IQ must travel to Vegas to track down a wayward DJ who has run afoul of the Triads. 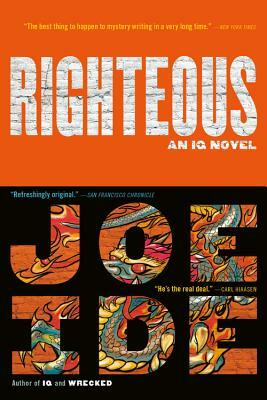 Hilarious, fast-paced, and incredibly clever Righteous cements IQ as one of the best new series around. If you haven't met IQ yet, I don't know what's wrong with you!